Whorls, streamers and eddies play in the banded atmosphere of a gas giant. Strong image enhancement renders unto Saturn's clouds a grainy texture not unlike sandstone. However, the loss in delicate smoothness is compensated for by an increase in discernible detail. 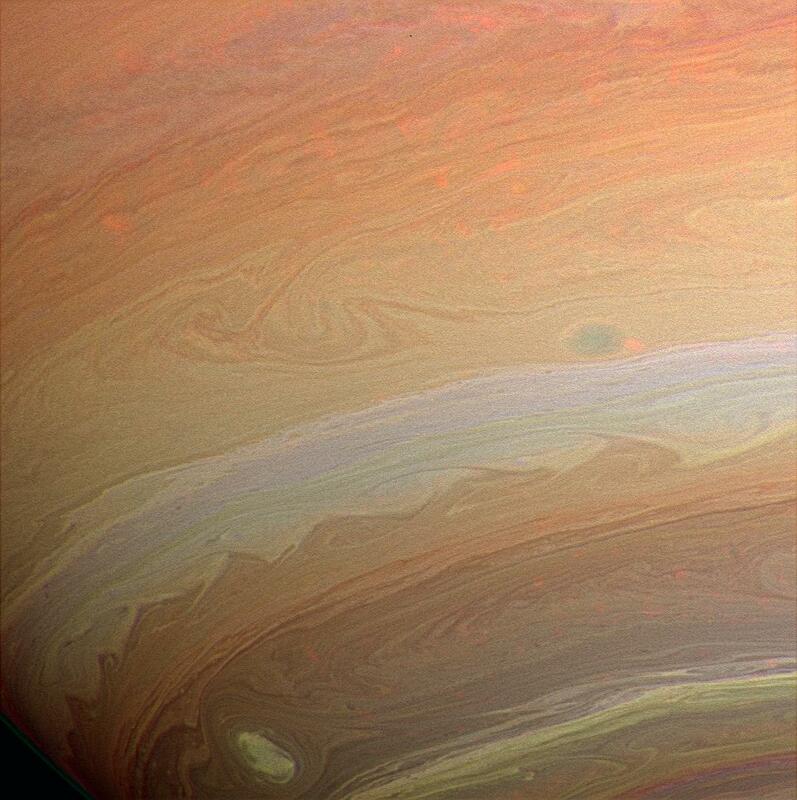 The image was taken with the Cassini spacecraft wide-angle camera using a combination of spectral filters sensitive to wavelengths of infrared light centered at 728 (green channel), 752 (red channel), and 890 (blue channel) nanometers. The semi-transparent red features across the image are clouds detected by the 752 nanometer filter. The view was acquired on Aug. 19, 2005 at a distance of approximately 492,000 kilometers (306,000 miles) from Saturn. Image scale is 26 kilometers (16 miles) per pixel.